Felting is not just for fashion - its great for jewellery too! Plus, the crafts quick, easy and inexpensive: all you need is wool, soap, water, your hands and a sense of fun. 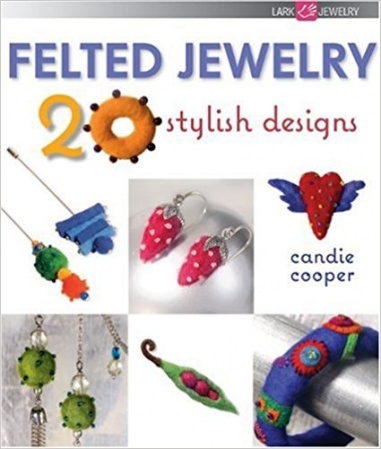 Aimed at both general crafters and jewellery artists, this rich collection offers an accessible introduction to the important techniques, including forming a flat sheet of felt; shaping the felt ball; adding embellishments; and stringing and wirework. Plus, its packed with trendy beading and needlework ideas. The jewellery box of 20 boutique-worthy projects features boldly coloured stickpins, bracelets and sassy cherry and berry dangling earrings.